Haven't You Heard? 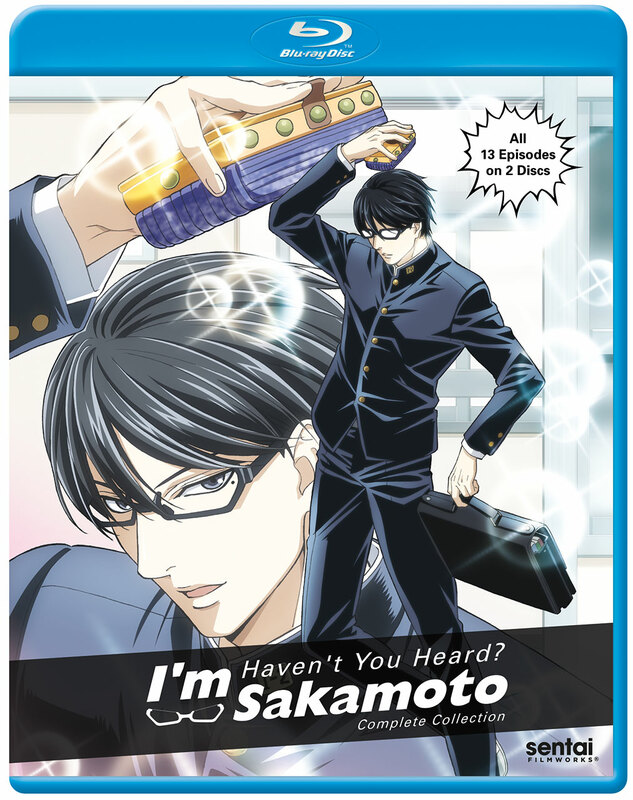 I'm Sakamoto Complete Collection contains episodes 1-13. Step into classroom 1-2 and meet the coolest guy in school. In fact, Sakamoto may just be the coolest guy ever. And that's not just because he makes his student uniform and glasses look like a fashion magazine cover. There's also the fact that nothing ever seems to surprise or rattle him. The girls are all crazy for him, of course, but even the most macho delinquents start to feel a little funny when he's around. However, Sakamoto never seems to notice, let alone take advantage of the attention. He's too busy being cool and mysterious without even trying! This does drive some people crazy, but the more someone tries to challenge Sakamoto, the more they start to fall under his spell. Intrigued? Then come join the class and get a lesson in cool from the master in Haven't You Heard? I'm Sakamoto! I love this anime! It was unexpectedly funny. Haven't You Heard? I'm Sakamoto makes for good comedy, (although the humor is quite dry) and will make you smile and chuckle a lot. The jokes all revolve around a single point, and that being just how cool Sakamoto is. For that reason, I found that the comedy gets stale really fast in this series. One thing that really stood out to me in this series is the good OST. A lot of the music you will hear in the anime is pretty good and fits the scenes well, not to mention the fantastic OP. Sentai's English dub is fine, nothing especially good or bad. BD quality is good, nothing wrong there. The case leaves something to be desired as far as appearances go. Also it does not come in a sleeve, but that is a bit nitpicky.